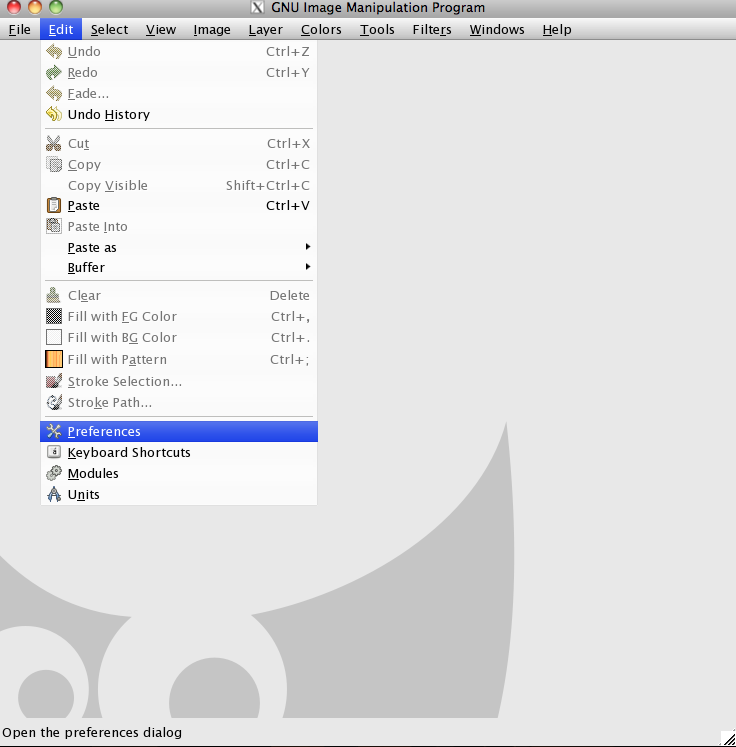 One of the best things about Gimpshop is how customizable it is to your needs and purposes. With tons of plugins, brushes, and other extensions, you can make the software do exactly what you want. In this tutorial, I’ll show you how to expand your brush library through free brush downloads. 1.) To start off, let’s first download a custom brush. 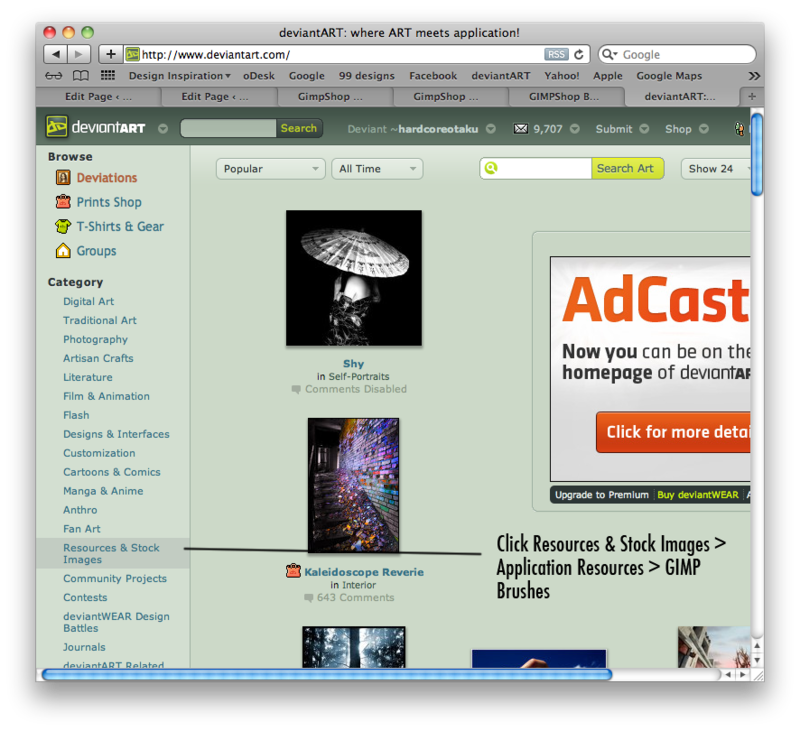 Open your web browser and go to www.deviantart.com. 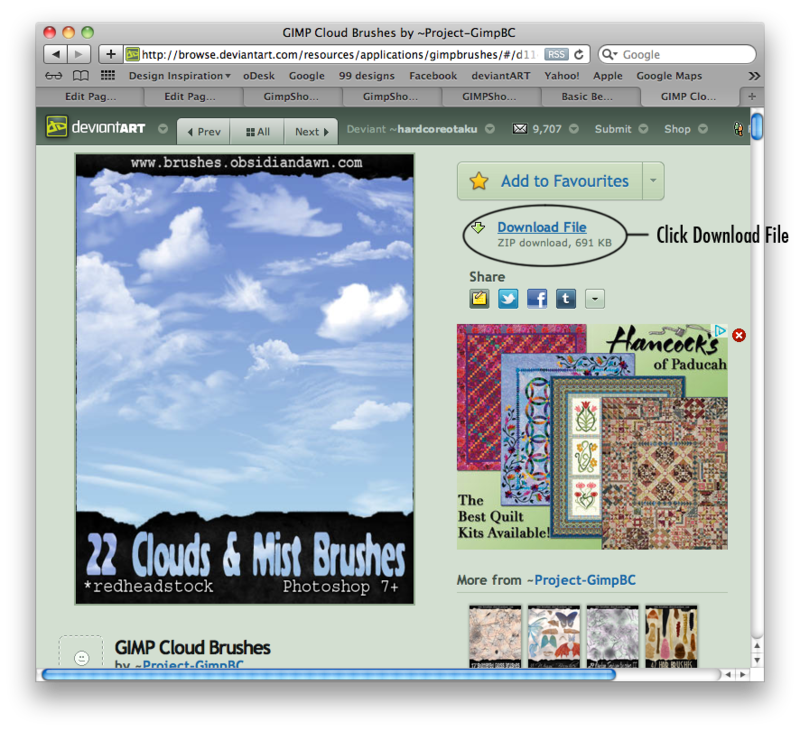 On the left sidebar, click Resources & Stock Images > Application Resources > GIMP Brushes. Now, all the filtered deviations are custom brushes for GIMP/ GIMPShop. 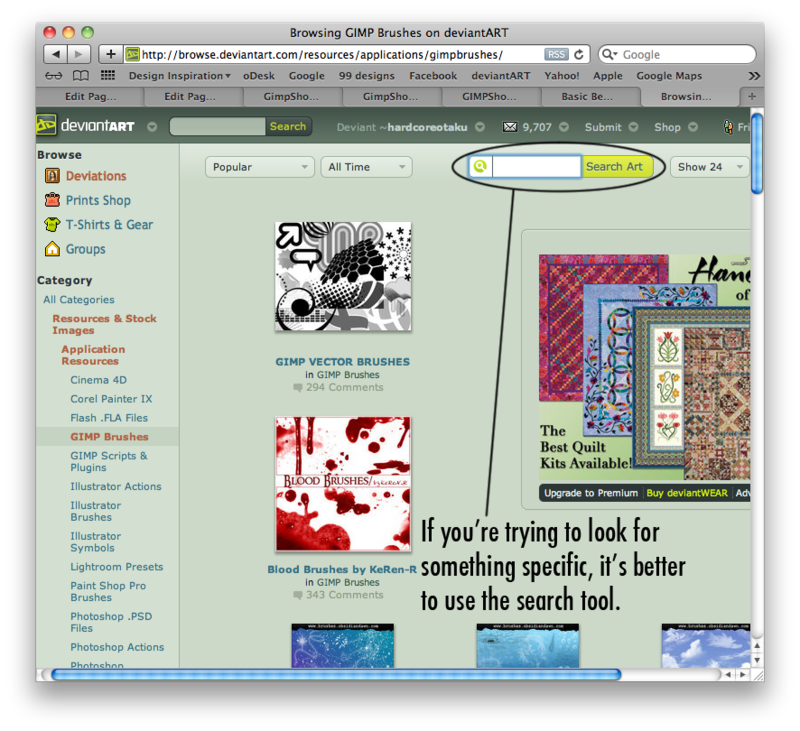 If you’re looking for a specific type of brush, you can also use the search tool. Click on one of the icons. On the right side of the window, click Download File. You’ll get a .zip file which you have to extract. After extracting, you’ll get a folder with .gbr files. 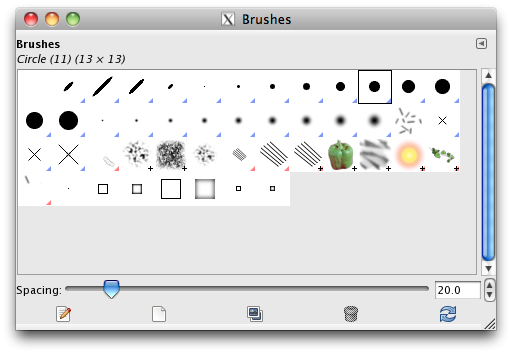 These are the custom brushes for GIMP/GIMPShop. 2.) 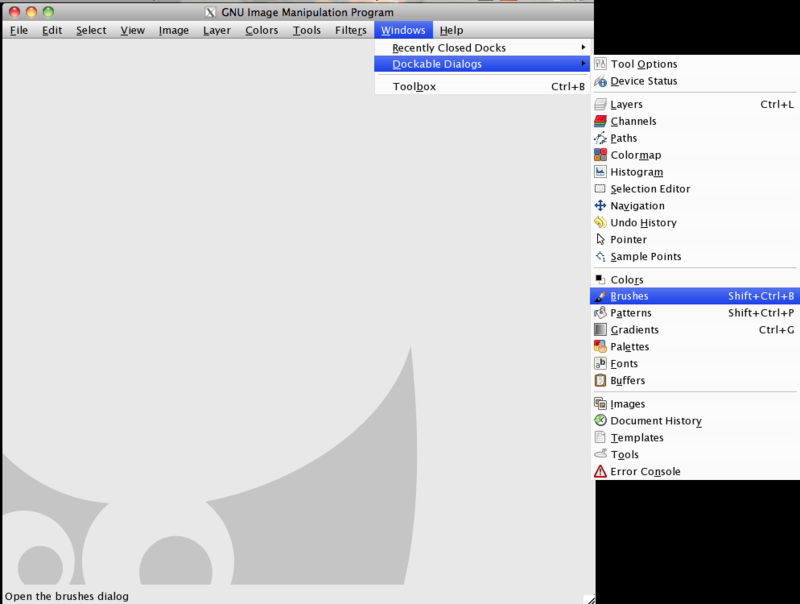 Open Gimpshop. Go to Windows > Dockable Dialogs > Brushes or press Shift+Ctrl+B. 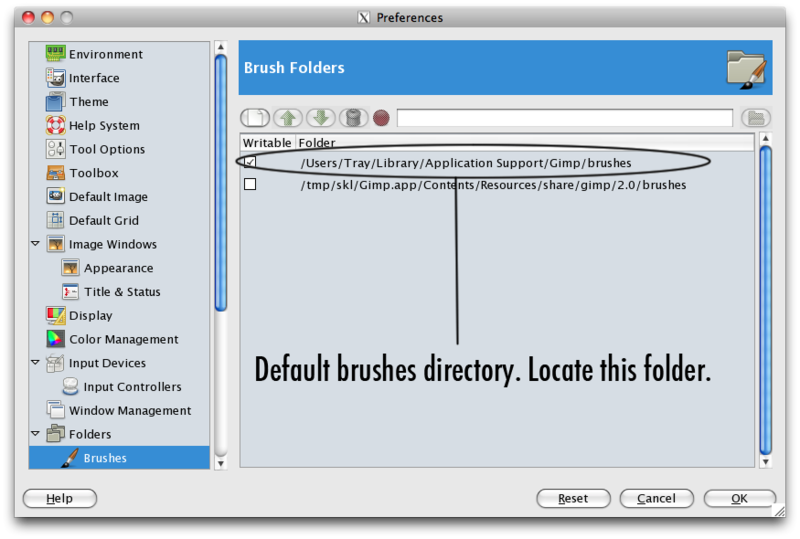 This opens the Brushes Dialog Box which contains all the pre-installed brushes that came with GIMPShop. 3.) Now, let’s install the custom brush. Go to Edit > Preferences. A new pop-up box will appear. 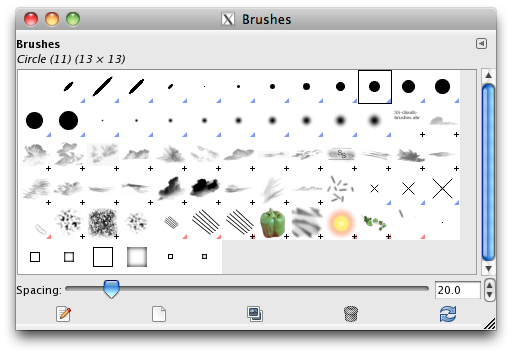 Click Folders (At the bottom of the left side bar) > Brushes. 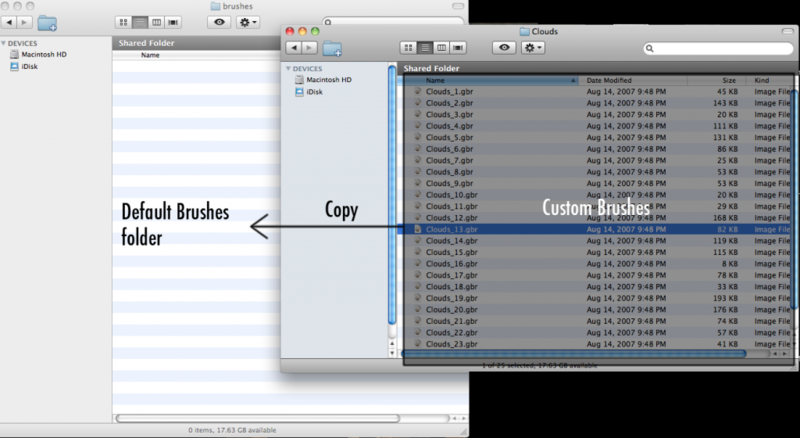 You’ll see the folder directory where your default brushes are found. Locate that folder in your computer. Afterwards, copy the custom brushes to the default brushes folder. 4.) 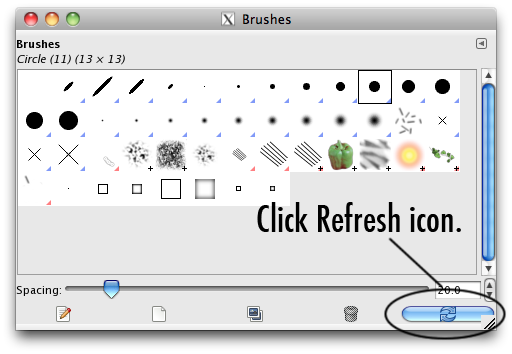 Go to the Brushes Dialog Box and click the Refresh icon at the lower right corner. You’ll notice there are more brushes in the Dialog Box. These are your custom brushes. You can test the new brushes out on a new canvas. 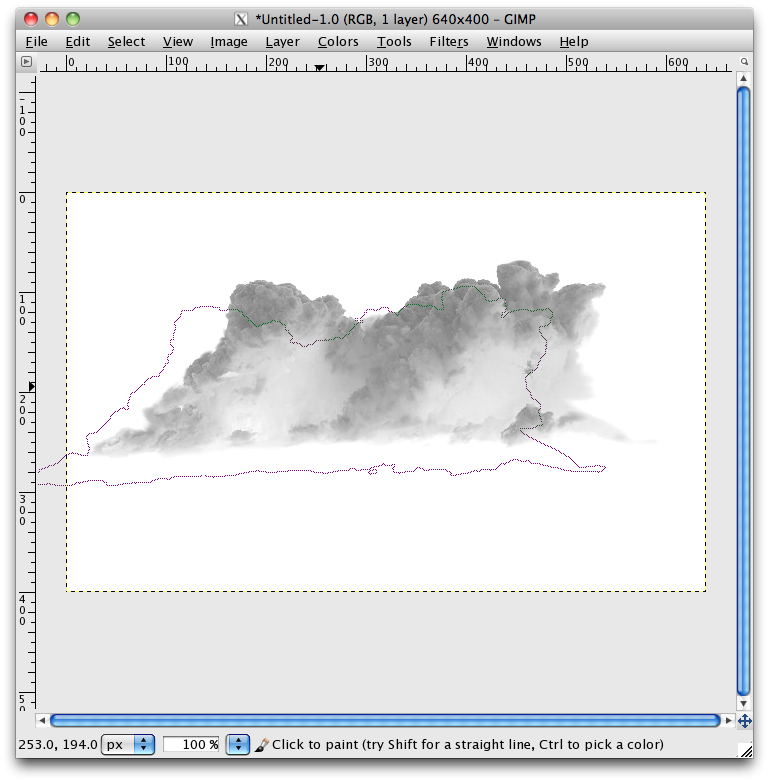 Here’s a preview of the cloud brushes I installed. This entry was posted in Basics, Gimpshop, Tutorials, Video. Bookmark the permalink.